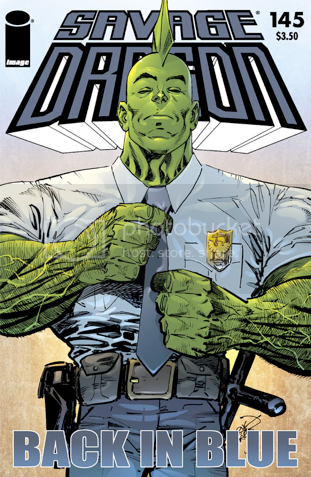 Wow, it has been a very long time since I have checked out Erik Larsen’s Savage Dragon. The Image Comic never held back and kept my interest for a while. I’m not sure why, but I dropped it over time and it never really did anything to get my interest back. Now, it would appear that Larsen is going back to basics and that issue #145 is the perfect jumping on point for new readers and a nice time for old readers to give the book another chance. The issue also features an appearence by President Barack Obama, whose appearence in Savage Dragon #137 pushed the book to a forth printing! The Pit: Avatar, BTTF, Battlestar Galactica, & More! We have an extra long Pit to start the new week! Enjoy! Interested in working with Chuck at the Buy More, than you can sign up to be part of the Nerd Herd or a Sales Associate here. While there, don’t forget to take your chances by spinning the Wheel of Misfortune. With 5 years and 57 issues under its belt, The Walking Dead is as strong as ever. Not only is it one of the best ongoing comics on the market, but it is completely engaging and constantly leaves me on the edge of my seat with my jaw on the ground. Created by Robert Kirkman, the series follows a small town cop, Rick Grimmes, who struggles to survive in a world over run by zombies. Kirkman originally pitched the series to Image Comics as a print version of Night of the Living Dead that would never end. While it became its own original story, Kirkman has kept true to the “never end” part of the pitch and he has said time and again that as long as he is allowed to publish the book, than he will continue to. Well, as long as he publishes the book, I shall be reading it. Newsarama has an indepth interview with Robert Kirkman on the series and its March to issue #60, which is less than 3 months away. I absolutely love Robert Kirkman’s The Walking Dead. It is the comic I wait for every month and it’s the only series that never disappoints. I’m not sure why, but I’ve never checked out his other stuff, including The Astounding Wolf-Man. But now seems like the perfect time to give it a look. Image has teamed up with Newsarama to present full free issues, including a “Director’s Cut” of the first issue of Wolf-Man. You can check out the full issue here.